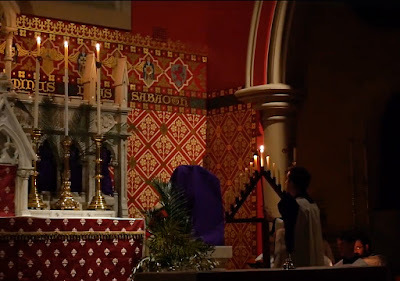 Saint Thomas Becket's church during Tenebrae. Image : Latin Mass Society of Australia. By courtesy of the Latin Mass Society of Australia * we are able to share a brief video presentation of the Office of Tenebrae for Maundy Thursday celebrated in the Church of Saint Thomas Becket, Lewisham (Archdiocese of Sydney). 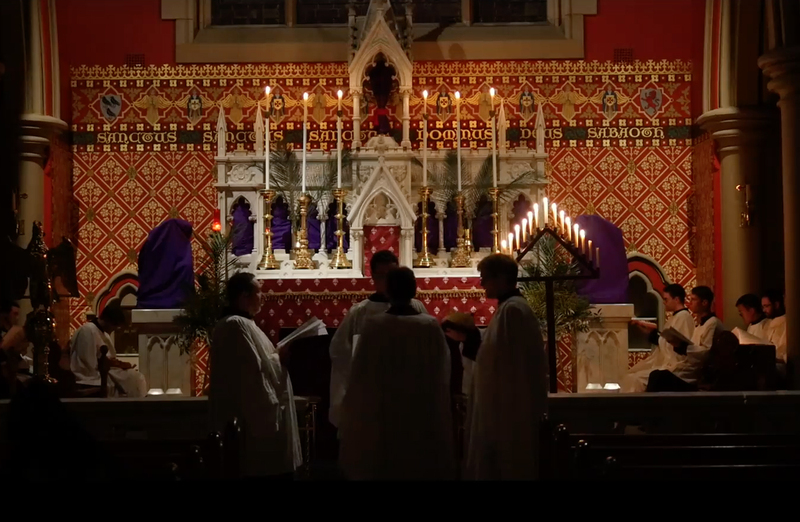 The videographer was able to capture the newly-decorated walls of Saint Thomas', completed in December according to a design prepared by the Saint Bede Studio. Further posts about Saint Thomas' church appear below. The Guild of Saint Thomas the Martyr of Canterbury sang this Tenebrae office and are recorded singing a polyphonic setting of one of the Responsories.